Your liver is important because it thoroughly cleanses your blood of harmful poisons and toxins. It is also responsible for converting your food into energy, which enables you to perform regular tasks such as walking and running. According to Brown Biomedical Department, an unhealthy diet can ultimately lead to liver conditions such as fatty liver, liver cancer, cirrhosis, liver failure and enlarged liver. High cholesterol is a factor that may elevate your risk of developing liver disease. Cholesterol, a type of fat, is only found in animal products. It is highest in fatty red meats, shrimp, egg yolks, cream, butter and organ meats. MayoClinic.com recommends limiting animal products and eating more plant foods such as whole grains, fruits and vegetables to lower your cholesterol levels and decrease your chances of liver disease. Low-cholesterol proteins include skim milk, egg substitutes, egg whites, fish, skinless chicken breast and lean cuts of pork tenderloin. High-fat foods contribute to high cholesterol, high triglycerides and obesity when consumed in excess amounts, which the American Liver Foundation states are liver disease risk factors. Examples of high-fat foods include lard, shortening, butter, margarine, fat from meat, cream, cheese, chicken skin, deep-fried foods, creamy salad dressings, baked goods, desserts, pastries and mayonnaise. In addition to eating grains, vegetables and fruits, you can also reduce fats by using healthy cooking methods such as poaching, broiling, steaming, boiling, baking and roasting. The California Pacific Medical Center reports that consuming excessive amounts of alcohol can lead to liver malfunction. If you drink alcohol then you should do so in moderation, which is defined as one drink a day for women. If you already have liver disease or a malfunctioning liver, you should avoid all alcoholic beverages to prevent disease progression. Sugary products such as soda, candy and desserts tend to be high in calories. The United States Department of Agriculture notes that excess calorie consumption is a risk factor for liver disease and a major cause of obesity. Sugary foods should be portioned to prevent overeating and only consumed on occasion. 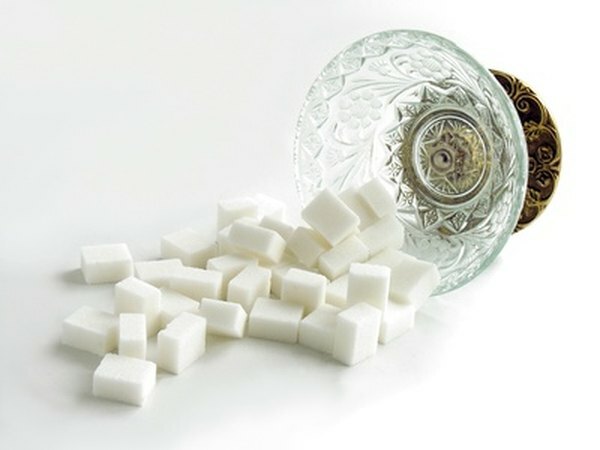 Healthy replacement for sugary foods include sugar-free gelatin, fresh fruits, sugar-free sweets, water and low-fat milk.